Jennifer Weiner, a best-selling novelist in her own right, is jealous she didn't get an Oprah nod. 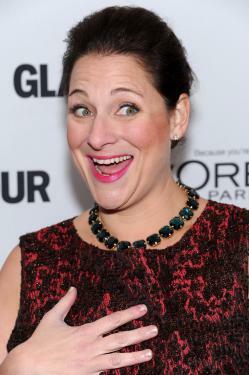 Jennifer Weiner in New York on November 11, 2013. When Jennifer Weiner heard that Oprah Winfrey’s new book club pick was going to be a memoir about marriage and motherhood, she allowed herself to get excited for a second. She just so happened to have a new memoir about marriage and motherhood coming out—could it be, was there any chance that the heavens had opened and Oprah was finally going to shine her special light on Weiner? Alas, no—another book, Love Warrior, got the nod. As Jezebel reported, Weiner was disappointed, and she wrote about her disappointment on Facebook. But I am not going to lie and tell you that I haven’t been really sad about this….or that there isn’t a voice in my head (a small, sad voice) that sees a slim, blond, traditionally attractive woman getting something great and thinks, Oh, well, of course. Of course that’s why. Nobody wants someone who looks like you in their magazine or on their TV show. It’s crazy and untrue and I’d never let a friend talk to herself that way…but there it is. Weiner’s criticisms about the publishing industry, especially what she views as the outsize amount of attention male novelists like Jonathan Franzen get, have gotten a lot of media coverage in the past, and this post will probably be no different. Sometimes she gets accused of using criticism as a guise for self-promotion, and it’s easy to see how this post might fit into that narrative. Weiner is by any measure a hugely successful author—she’s had New York Times best-sellers and even a major movie adaptation of her work. What right does she have to complain that she didn’t get Oprah’s seal of approval, when so many things have already gone right for her? But as her Facebook post demonstrates, she still can’t help wanting more and hoping that reaching that next level or earning that one blurb to end all blurbs will be the thing that finally makes her feel whole. She still sometimes feels disappointed and lonely and worried about her career, even though it’s a career many people would probably kill or at least trade one of their limbs for. Isn’t that pretty much the human condition? If you’re sad and crippled by self-doubt, success isn’t going to automatically fix that. So of course successful writers are going to be jealous of more-successful writers, and of course even if it looks like you’re sitting pretty as a best-selling commercial novelist, there’s always going to be someone who seems better off, who seems like a stand-in for everything you’re not getting. According to my sisterfriends at Jezebel, I was not just being honest. Nor was I merely being vulnerable. I was, according to their headline…wigging out. I thought I was being honest and vulnerable – honest about screwing up, honest about being envious, and about how, still, even at my age, even with what I’ve achieved, there remains a still, small voice inside of me that says, If you’d been a more successful bulimic, that could have been you. While it’s completely true that everyone feels pathetic and unmoored and disappointed sometimes—even a writer of Weiner’s stature—where Weiner went wrong seems to be posting about this to her Facebook page, where she has over 135,000 fans, rather than confiding in a friend, email confidant, or hell, private Facebook group of other high-achieving-but-jealous best-selling female novelists. When you have that many fans (and when you still can’t resist making a joke about how you could have gotten Oprah’s attention “if you’d been a more successful bulimic”), it gets a little harder to feel sympathy for you. Yes, Weiner may have felt like she was just being honest and vulnerable; however, expressing disappointment about not receiving an honor that is beyond most people’s wildest dreams but, because of all the success she’s already achieved, is within the realm of possibility for her, doesn’t feel honest and vulnerable. It feels, sadly, like complaining. Is that unfair? As she usually does, I’m sure Weiner won’t hesitate to make her opinion known.